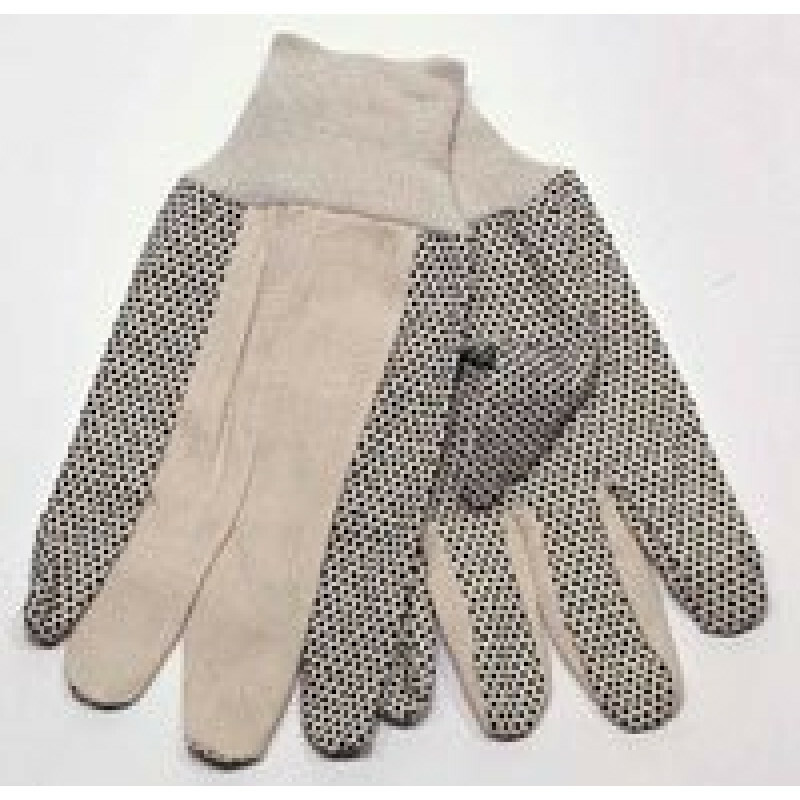 These 8 ounce gloves are a 100% cotton canvas with a knit wrist and have PVC dotted palms for added grip. They come in a case pack with 300 gloves in the case. The PVC dotted palms added additional gripping ability when working. Great for gardening, working construction, doing yardwork, or just doing normal chores. The cotton will allow the hands to breath, so no sweat will build up as you work. If you're looking for a different style glove, please take a look at our complete line of cotton work gloves. 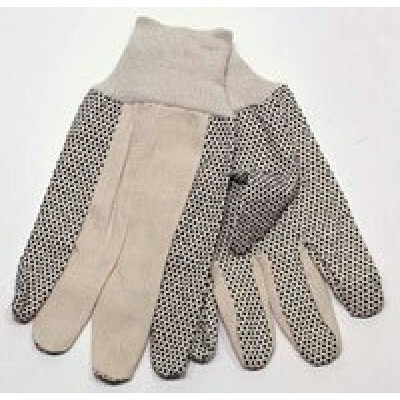 Customers who were interested in the Cotton Canvas with PVC Palm Gloves were also interested in the following items. This is a review for the Cotton Canvas with PVC Palm Gloves.